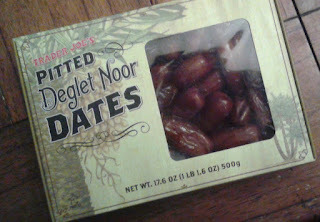 Just like most of my dates in high school, Trader Joe's Deglet Noor Dates are almost certain to not be around very long, so let's keep it short here. As a first foray into the world of these smaller, firmer, and less smooshy cousin of the ever popular medjool dates, I'm almost equally a fan of these deglet noors. As they're already pitted, these are much more portable and kid friendly version, as well as possibly a better choice for some make-your-own appetizers and salads. But because they're more fiber-y and less fleshy than the aforementioned medjools, think through before using them in a recipe such as paleo pecan pie. The deglet noors are a touch sweeter, but in all taste fairly close to medjools. Much less sticky, too, to my kiddo's delight. Here's a bonus though. The pound-plus pack of these guys? Only $2.99! 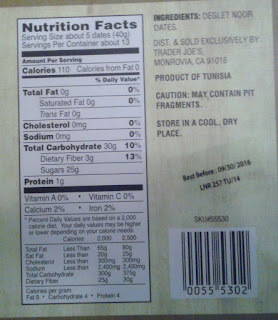 Grading by the fact that a doublepounder of topnotch dates from Costco retails for about $9, that's a pretty good value. We'll like them as long as they're around, but don't it personally when one day they're just gone without warning - they're in the seasonal section, after all. These made a top notch sticky toffee pudding for Christmas. Try stuffing those with some blue cheese. Mmm. So good! 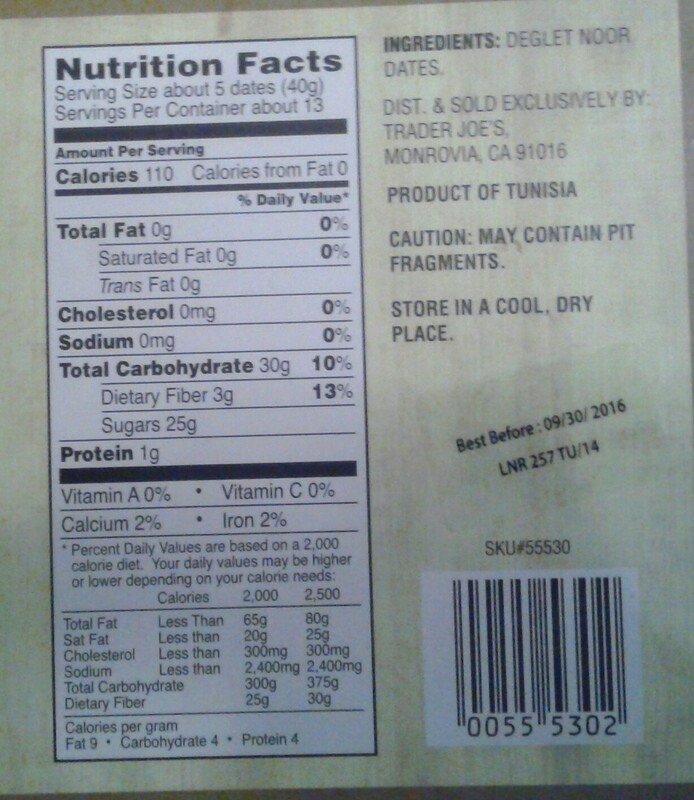 I replaced the strawberry licorice with these dates. A yummy candy alternative.